Nice job at sidestepping the teachings of some very prominent Fathers. Your second sentence has got to be the most astonishing thing I've seen from a flat earther. Scripture was not their forte? I can't believe the gall you have. To state that your interpretation on Scripture vastly exceeds the knowledge of two of the most prominent ancient Fathers of the Church is truly mind-blowing. I have other quotes from early Fathers about their belief in a Globe Earth by the way. You have no interest in upsetting your warped view though. Why do you assume every saint is a master of every subject in scripture? Your false sense of horror is too humorous. Oh, and please do provide the Fathers who taught the globe earth. I gotta see this. You seem to be stuck on the notion that it was either taught or condemned. I don't believe it was either. The quotes from St. Augustine and St. Basil prove this. It was not part of the faith and was a waste of time to pursue knowledge of it. This is a pretty bold teaching if not true. I did not say I have quotes of some of the Fathers who TAUGHT globe earth. I said they believed in globe earth and it's obvious they were not concerned with it as a matter of faith. Also, the only Church Father that specifically condemned globe earth was Lacantius. My quotes are here in the Library section under the title "Church fathers did not condemn globe earth". St. Gregory of Nyssa speaking to St. Macrina, Sister of St. Basil: "I say, there is an absolute necessity that, whatever may happen to each one of the atoms on the upper side of the earth, the same will happen on the opposite side, seeing that one single substance encompasses its entire bulk. As, when the sun shines above the earth, the shadow is spread over its lower part, because its spherical shape makes it impossible for it to be clasped all round at one and the same time by the rays, and necessarily, on whatever side the sun's rays may fall on some particular point of the globe, if we follow a straight diameter, we shall find shadow upon the opposite point, and so, continuously, at the opposite end of the direct line of the rays shadow moves round that globe, keeping pace with the sun, so that equally in their turn both the upper half and the under half of the earth are in light and darkness; so, by this analogy, we have reason to be certain that, whatever in our hemisphere is observed to befall the atoms, the same will befall them in that other." Gregory of Nyssa, On the Making of Man: "For just as those skilled in astronomy tell us that the whole universe is full of light, and that darkness is made to cast its shadow by the interposition of the body formed by the earth; and that this darkness is shut off from the rays of the sun, in the shape of a cone, according to the figure of the sphere-shaped body, and behind it; while the sun, exceeding the earth by a size many times as great as its own, enfolding it round about on all sides with its rays, unites at the limit of the cone the concurrent streams of light"
In the first example, St. Gregory is speaking to one person. We all agree some saints bought the sphere earth. 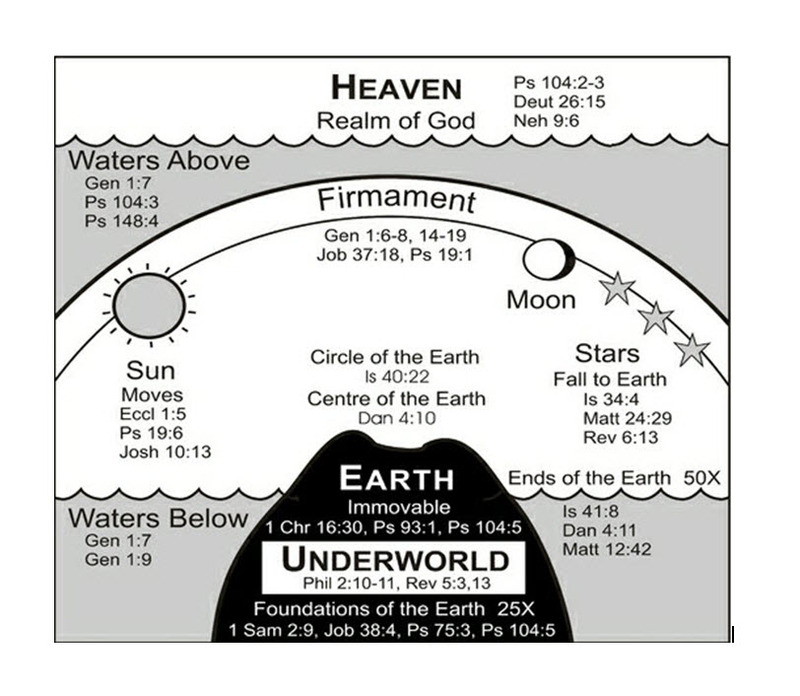 In the second example, the entirety of heaven above, earth in the center and the pit of hell together make up a globe. 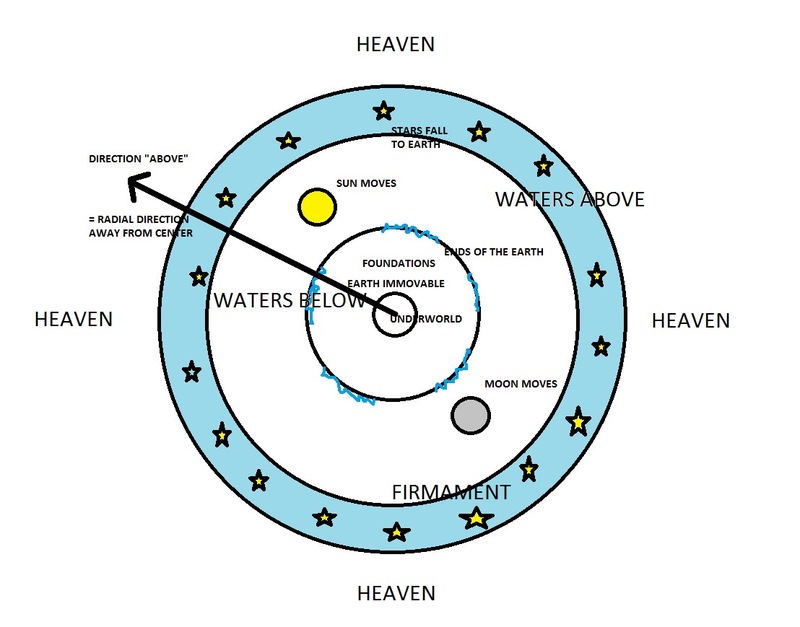 After looking at many statements about the globe closely and in context, it becomes obvious the saints refer to the entirety of creation as a globe. When one sees a statue of the Child Jesus, we notice He's holding a globe. If the globe were representing only earth, then the representation of Christ would be false because He would positioned inside creation in outer space, and therefore not the Lord of all of creation. Rather, Jesus is shown holding all of creation, being outside creation, and therefore Lord of all. In the third example, St. Gregory is telling us what "those who are skilled in astronomy" say. Since none of these qualify as actual teachings but quotes proven to be only opinion, or taken out of context, or, not teachings at all, none of them help your case. I don't think you could be any more deceitful or you are not even reading what I'm saying. I AM NOT SAYING THEY TAUGHT IT. I AM SAYING THAT SOME BELIEVED IT. This destroys the notion that flat earth was unanimously taught or believed by the Ancient Church, let alone the medieval one, and that Scripture is clear about it. I think you scandalize the unlearned and make a mockery of Catholic Teaching when you teach flat earth is something even quasi-necessary for salvation. This is ridiculous and has nothing to do with religion. There is not even a single verse in Scripture that literally says the shape of the Earth is flat. You have nothing. If you want to debate the flat earth, fine. Leave Scripture and the Fathers out of it because flat earth has nothing to do with our Faith. You are starting to become more extreme in hurling your invectives toward those who disagree with you. Don't you see that making accusations against those with whom you disagree does not make for a good argument? First, with Stubborn, I argued using Catholic Teaching for a long time. He explicitly, in the past, has said that he refuses to read Catholic Teaching when debating about Sedevacantism. This gets old after a while because he does nothing but spout nonsense and make stuff up. This is why I started arguing with him in this way. It's the only thing that he responds to. When Catholic Teaching is brought up, he shuts down and refuses to hear. Second, With happenby, she and others like her, claim that this FE is part of the Catholic Faith and treat others who disagree with it as heretics. There is no proof whatsoever of this being Catholic Teaching. Third, Even though I said she is deceitful, I tried to be fair and said maybe it's because she isn't reading what I'm writing. So thank you Meg, for your concern, but there is a reason for the things I write. I don't think that stubborn is making things up. What he refuses to do is to take your assessment of the situation. He has a right to do that. We are all just laymen who are trying to do the best we can in the Crisis. Happenby is not being deceitful. She is honest in her view, and it should not be assumed that she isn't, just because she doesn't agree with your view of the situation. If she doesn't specifically read something you write - that doesn't mean she's deceitful. She's heard it all before - from you and from others here. I don't think that you are positing something different from what you've already written many times before. Oh, well you're a step behind. We all knew some believed it. Scripture describes a flat earth. Saints elaborated on it. I will not leave it out of the discussion. You are only proving you are not versed in what the saints teach about flat earth and geocentrism and are hardened against them and the model. Really? When he says that it is anathema to say the Pope is not the Pope, he isn't making things up? Why was St. Vincent not condemned when he followed an antipope in opposition to the Pope. When he says that a heretic is in the Catholic Church, he isn't making things up? There are numerous teaching that say that heretics and those who disbelieve in Church Teaching are not in the Catholic Church.Happenby has misstated my argument twice and hasn't apologized for it. This lends itself towards dishonesty. If not, well I said maybe she didn't read what I wrote. As for her seeing the arguments before, that's not true because she was unaware of the quotes I provided. Then she had to come up with very weak arguments to try to refute or explain away the Catholic Saint quotes I provided that don't go along with her viewpoint. On top of that, it's not Catholic to put a virtual anathema on those who don't believe a teaching as infallible because it hasn't been taught at all, just because you feel strongly about the issue. I have not misrepresented anything. You misunderstood. We know a few saints believed in round earth and I said so in the same statement I first responded with. Scripture, truth and the saints are at stake. It matters. You present the FE like the Church always believed it and it's some sort of Dogma. I showed you two explicit quotes from very prominent Fathers which say that this issue is not a religious one and actually is harmful to waste time pursuing it. You disregard that and say that these two prominent Sainted Fathers had no idea how to interpret Moses. FE is an aspect of Geocentrism which perfectly matches the literal description of earth in scripture. As such, it is revealed truth, although since buried by false narratives and erroneous science at odds with God and his Truth. While the lie is also ancient, the fullness of how it has progressed is only now beginning to reveal itself. If you study any doctrine, you'll find that at times, the scriptural passage a doctrine is based on seems obscure and is not always obvious. The Fathers of the Church brought most to light in a more profound way as time passed. That pagan science reigns today proves there is no question people are under false delusions that earth is spinning and rotating as many Catholics have recently discovered. The problem remains that the sphere was resurrected by Copernicus hundreds of years ago and the evil powers have held sway over the minds of men to the exclusion of Church condemnation of Copernicanism. People will tell you the Church was wrong. That is impossible. And if the Church is right about Copernicanism, it necessarily means all of it. Especially knowing now that so many saints elaborated on Geocentric flat earth already. None of this is provable since there is no Church Teaching to back it up. Scripture and the saints back it up while pagans deny it. Pagans replaced it with their own model despite the Church's official condemnation. And heliocentrism is the model that denies the creator, enables enslavement to false evolutionary science, relativity and modernism. That is enough, even if there are no other "official" statements. We don't need more official to know. No one was really free to deny Mary was conceived immaculate before the 1800s. How do "waters above" imply a flat Earth? Please define the concept of "above" in a manner that doesn't presuppose a flat Earth. Analagously, how does "wtaers below" imply a flat Earth? How does a firmament imply a flat Earth? How does ח֣וּג in Isaiah 40:22 imply a flat Earth? How does בְּגֹ֥ואin Daniel 4:10 imply a flat Earth? How do a moving Sun and Moon imply a flat Earth? How does the immovability of the Earth imply it is flat? How do "foundations" imply a flat Earth? Please no circular arguments. Are you even open to having your questions answered? Somehow I doubt it. Or are your questions just rhetorical? From what you've posted previously, I think that you have zero interest in really understanding how the flat earth works. I'm not interested in "how the flat earth works". I want logical deductions proving that the quoted verses are impossibilities unless the Earth is flat. Put up or shut up, woman. You have shown that you have no interest in logical deductions. None whatsoever. Quod erat demonstradnum. This shoes that quoted verses are all compatible with a spherical model. 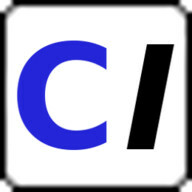 ח֣וּג just means "vault", like "vaults of the Heavens", implyign nothing about flatness, and בְּגֹ֥ואin means "midst", and again a tree appearing in the midst of the world implies nothing about flatness, but if you want to insist, a spherical Earth HAS a center. Go on Meg. Show us how the verse cannot fit the model. You have zero interest in any answer I would give. Or that anyone else would give. You're just another angry globe-earther, who wants to disprove the flat earth. You have already made up your mind, and are not open to anything but proving the flat earthers wrong. You are disingenuous. You can think me a coward if you like. Globe-earthers have called me far worse, because they are immature. Question: how can Heaven be infinite if it is infinitely limited in the direction of the Earth? By the way, where do the foundations of the Earth in the flat model end? Since everything falls "down", where "down" is a direction peperdicular to and towards the flat plane of the Earth, and the Earth needs foundations in order not to fall itself, what about the foundations? If they end, what do they sit upon, and how are these upheld? Are they infinite, or rest upon somethign infinite, again, how is that which is infinite upheld? After all, it's perfectly reasonable to consider an infinite body to be in motion, so what stops the foundations, finite or infinite, from moving, given that everythign material must move in a downward direction unless upheld by something that in its turns needs to be immovable? Please don't pretend that you are actually interested in an answer. You are not. We both know that. And....it's too many questions. Like someone with ADD would ask.